A major website change is not something to fear. In fact, you should be prepared to update or replace a website that is outdated – because the typical life cycle of a site is three to four years, you can ultimately make several changes to your web presence for your dental practice over time. You should worry about successfully implementing those changes, as you can run into problems that hurt your search engine ranking, and make you harder to find. We are ready to help you build a new website, or take steps to produce a new design for your current site. When you make changes to your site architecture (the structuring of your site’s various pages), you could impact your SEO. This does not mean you should avoid making changes, as a new arrangement could actually help you reach more people. Paying attention to the way your pages are laid out can make it easier for people to understand why information is organized the way it is, and create links that can be ranked higher by search engine algorithms. If you have struggled to achieve the kind of online visibility you feel is appropriate for your site, changing your site architecture could lead to improvements. You should not be surprised to find yourself with several new links, and new pages, after changing your website. This means you could have old links that need to be redirected to new pages, and links that do not work properly. If you feel unsure of your ability to avoid problems, or correct them, our support can help you avoid a negative impact on your SEO that can result from link issues. When you review your new pages, you should watch out for more than just technical issues. Before and after your site changes are implemented, review your pages for thin content, or duplicate information. Pages that lack useful material, or mirror what is already present at another link, can lower the value of your site when it is evaluated by search engine algorithms. We Can Help You Update, And Maintain, Your Website! 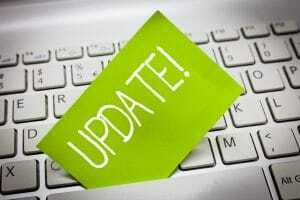 A successful site update, or replacement, can be crucial to maintaining the momentum of your online marketing efforts. We can offer expert support when you want to replace an older site, or make updates to your current site. In addition to managing technical matters, we can produce the kind of original content that can satisfy people, and raise your SEO. MDPM Consulting Can Help You Execute A Successful Website Change! MDPM Consulting is ready to help you when you are ready to update, or replace, the website you currently use to promote your practice. To find out more about the services we offer, you can reach us by using the contact information provided below. Are you ready to update or replace your older website? Contact us today and let us help you! Email MDPM Consulting at [email protected], or call us at 972-781-8861.